Paul Plumeri has been playing the blues for over 40 years, gigging in every juke joint that’s graced the Greater Trenton area. So of course, it makes perfect sense that he’s perhaps now best known in... Seattle. And while he may be big in Seattle, the name Paul Plumeri is simply huge in the Trenton music scene. Of course, he got into the game with a bit of a head start — when you’re a “Plumeri” from Mercer County, you’re already a step ahead. His dad, Sam Plumeri, was a well-known quantity in the corridors of power and his three boys all showed their own talents at a young age. But it was Paul, the youngest, who broke away from the pack. While his other brothers found fame and fortune in finance and law enforcement, the youngest Plumeri picked up a guitar at age seven and never looked back. And if you think his parents weren’t behind him, think again. 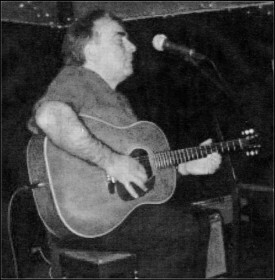 And the more Plumeri — known by all as the “Bishop of the Blues” played, the more his name got out there, culminating, for a time, with his stint with Duke Williams and the Extremes, a blues band signed to Capricorn Records, then the home of the Allman Brothers Band, Delaney and Bonnie, and a bunch of other southern rock acts. 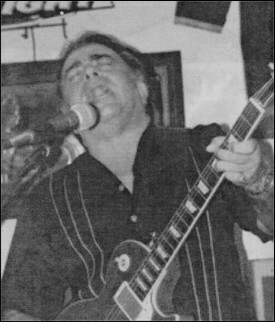 About six years later, Plumeri walked away from the band and started his own group, the Paul Plumeri Blues Band. Incredibly, the first night he played under that banner, his son was born. Which hastened a decision — Plumeri needed a full-time, stay-at-home job. He didn’t want to be on the road all the time while his kid grew up. As a result, it’s safe to say Plumeri is the only bluesman who works as an investigator for the state. So consider Plumeri something of a superhero — mild-mannered investigator and dad by day, blistering bluesman by night. 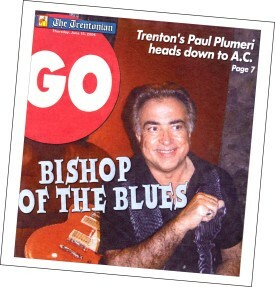 Trenton's own Paul Plumeri, "The Bishop of the Blues," will take his band to the House of Blues at the Showboat in Atlantic City Monday night.